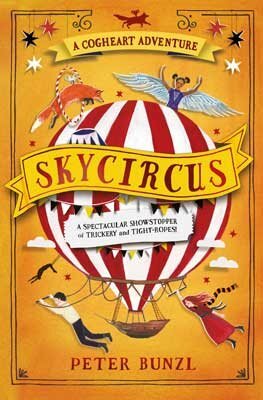 The third novel in the Cogheart series sees the children swept up in an uncanny big-top world. Blending macabre humour and extraordinary flights of fancy, this series goes from strength to strength. ROLL UP! ROLL UP! Here is the newest book by Bunzl. An amazing story. My neice loved the first two in the Cogheart series and wasn't disappointed in this 3rd adventure. She was gripped from the beginning.